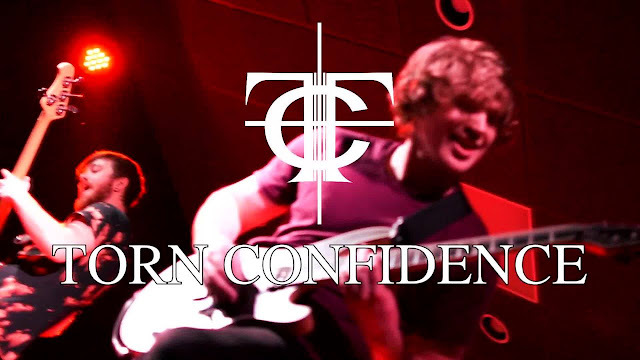 In this new occasion we have had the opportunity to interview the Alternative Metalcore band Torn Confidence from USA. Check out this band and give them a like on their FACEBOOK PAGE. We were actually using a band name generator, and Jacob misheard one of the suggestions as Torn Confidence, and it stuck! There's a lot of freedom in it, we feel like being in metalcore we can go so many directions for heavy to melodic. Jacob and Tyler grew up together, other then those two, no. Honestly just our love for music keeps us going. This is without a doubt, our favorite thing to do. Indianapolis at the Hoosier Dome. Anywhere that would have us, honestly. Not really, besides Tristan, he threw up before his first show. The only way to beat it is to practice your craft! Make sure you know it inside and out so you're confident you can play it in front of people. Architects, Wage War, Gideon, Slipknot. It's an awesome place to get a look at new bands!